Saturday was World Card Making Day and this year I actually got to make a couple cards, including a Christmas/winter card- yay for getting started... even if I didn't use any Christmas papers! 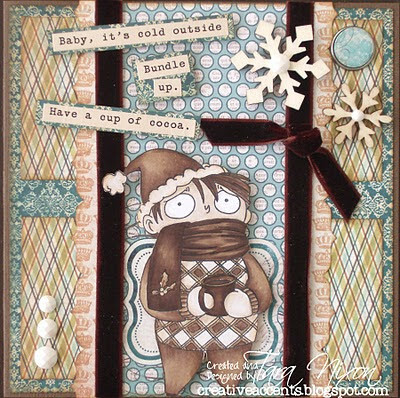 velvet ribbon from May Arts. I LOVE!!! 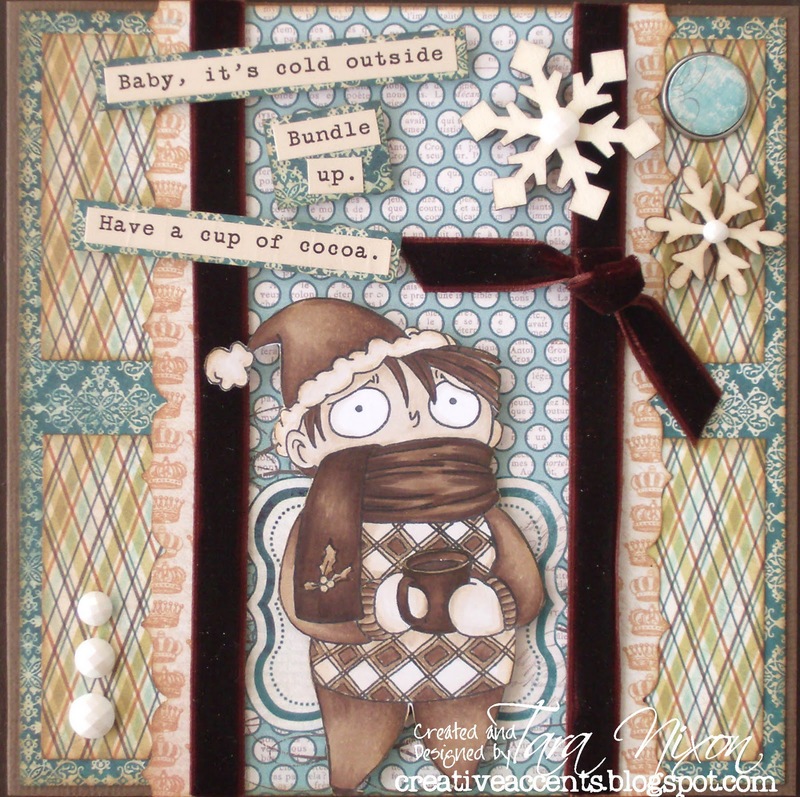 this, he is sooooo cute, and I love all the papers and accents you used! Make sure I look at the wooden snowflakes next time I'm in - half the time when I come to the store, I'm just overwhelmed with choices I forget what I was looking for! Hugs, Roxy. Hey this is super cute and great job on the sepia coloring. Such a cute image. hee hee! Awwww, this is so wonderfully adorable!